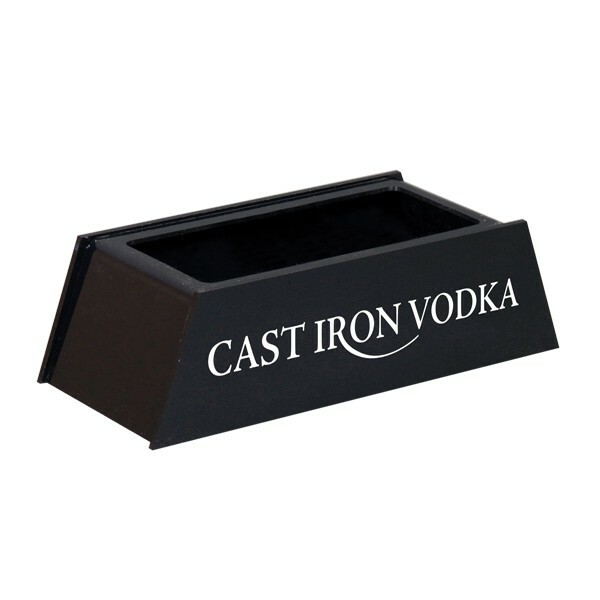 Highlights liquor on bar backs and retail displays, highly polished black acrylic construction. Also available in sizes for two or three 750ml bottles. Crisp, high definition imprinting available. Custom glorifiers available - call today!